We want to share our experiences in supporting the more independent life of young people with intellectual disabilities. 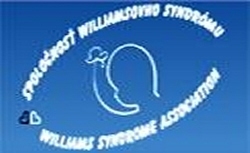 The project is planned to be realized in a frame of co-operation of Williams Syndrome (hereinafter: WS) Associations of V4 countries. The goal is an integrated development program to increase intellectually disabled youth’s access to equal opportunities. We just finished the big project of “Leaving the Nest”, a complex training program for disabled young people and their parents for increasing the autonomy and the independency through work and practical tasks of event organisation. We would like to share our experiences and exchange the best practices with our V4 partners. Moreover, a whole week of concentrated therapy – by improving the facilitation - rehabilitation of the participants with accumulated disabilities - will promote the social reintegration and recreation of the different associations’ members, while community programmes will give opportunities for free expression of their sense of solidarity. Meanwhile campers over 16 yrs. will participate in international „individual living” workshops, covering several topic-related fields. We also want to provide practical opportunities for integrated event organizing activity during this special camp. The Hungarian group of young campers were trained for over the past year.